You asked us a question. "Why are all planets round?" We all know what gravity is. Right? It is what makes apples fall from trees. And people fall flat on their faces. The bigger an object is, the stronger its gravitational field. And planets are pretty big. So gravity acts on them as a strong force. It pulls everything together towards their center. And the ending shape is a sphere. Planets are not perfectly round. They have a bit of what you might call a spare tire. 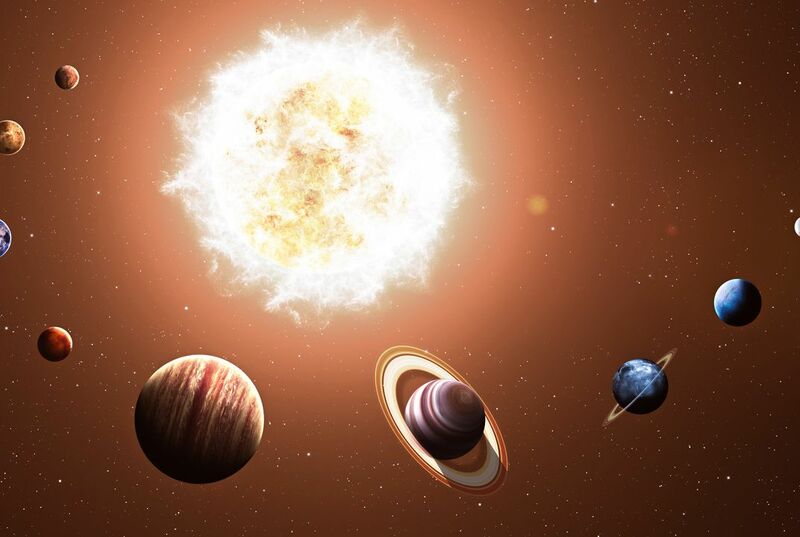 Planets spin around their axes. The force made by the spinning works against gravity. It causes a planet to bulge out at its equator. 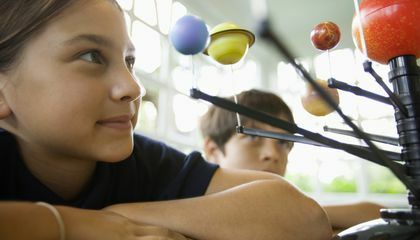 Planets aren't perfectly round because "Planets SPIN around their axes. The force made by the spinning works against gravity. It causes a planet to bulge out at its equator". It means: the planets are not perfectly round because the force from the planet spinning and the force from the gravity causes the planet to bulge out of it's equator. Those are two ways of saying how planets aren't perfectly round. Why a aren't planets perfectly round? Well for this critical thinking question I thought they are not perfectly round because like they said apples fall and people fall on there face. But they also said that since there is gravity it pulls all the things closer and more in. So that simply means the planets are not perfectly round but really close. That is my critical thinking, Bye. Planets are not perfectly round for one good reason. equator. That is why planets are perfectly round. I think that planets aren't perfectly round because the gravity is pulling the planets from the sides which dameges the shape. Another thing is maybe making perfect circles is hard for gravity, like it's hard to make perfect cirles for most of people in the world. That's why I think the planets aren't perfectly round. Let me tell you what I think. All planets are saphire not round because I think it’s to help the planets to take their orbit without having problem. I think planets are not perfectly round because asteroids keep on hitting the planets! What:So gravity acts on them as a strong force. Why:If planet did not have gravity they would not be on circle. The main idea of this story, is that people want to know why are the planets around. fact 1:planets are around because they have gravity. fact 2:planets are not perfectly around. they have a bit of what you might call spare tire. The force of spinning works by gravity. Then, the planet causes to bulge out its equator. this is very interesting to me and i think other kids i think i am going to write a book about this do u guys think i should write book?